A cluttered registry can slow Windows to a crawl. Registry cleaners: Boon or boondoggle? Editor’s note: This article was revisited in July 2016 to make sure all of the programs that were tested are still available, and they were all rerun on a modern, Windows 10 PC to verify compatibility. Let’s start with a little quiz. I say, “Big, bloated, and full of errors.” What do you say? Right, “Windows Registry.” One more: “Messing with it is risky.” If you guessed the registry again, you pass. While fooling around with your Windows registry does involve some risk, cleaning it out can have a positive impact on your PC’s overall performance. 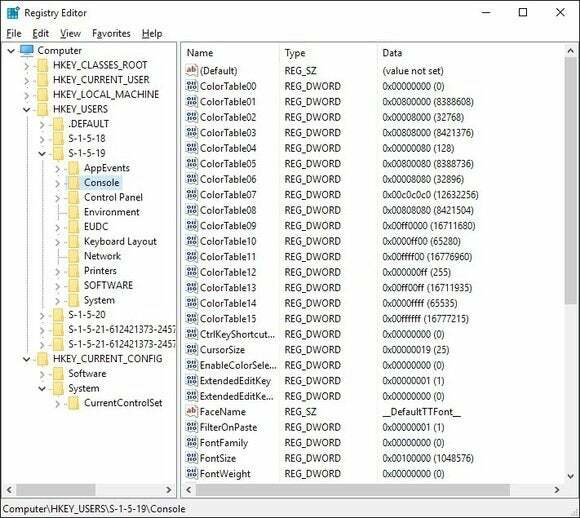 The Windows registry is a repository for a massive collection of details about your computer—where programs are stored, which helper programs (known as DLLs) are shared among your various applications, listings of all your Start menu shortcuts, and pointers to the programs that fire up when you click on an icon. And that’s just the beginning. The dark and scary place known as the Windows registry. Practically everything you do in Windows is recorded in the registry. For instance, the URL for this article probably has an entry now, somewhere. The paths to the last dozen or so images or documents you opened are there, too, as are the details of the programs you have installed or uninstalled. Here’s the problem: If you pry open the registry, you’ll find it about as cluttered as a teenager’s bedroom. That’s because Windows doesn’t efficiently clean up after itself as it goes about its daily business. It constantly creates new entries, but seldom—if ever—removes old entries after they’re no longer needed. Compounding this problem is the fact that applications are usually too inept to uninstall all of the registry entries they create. Far too often, program updates and installers leave unneeded pointers in the registry, so the registry becomes bloated with unnecessary entries, slowing down your system. The big question we’re asking in this piece is whether a registry cleaner will indeed speed up your PC, making it boot more quickly and run faster. The answer is, emphatically and unequivocally, maybe. That’s right, a big, fat perhaps—because everything depends on the condition of your registry. It also depends on the effectiveness of the registry cleaner you choose, and there are a lot to choose from. To find out which registry cleaner catches the most errors, is the safest and easiest to use, and (just as important) creates the fewest hassles, we tested five popular registry cleaners, many of which came recommended by PCWorld readers. We examined two free products (Advanced Windows Care and RegSeeker) and three commercial ones (jv16 PowerTools, Registry First Aid, and RegSupreme Pro). Before we reveal the results, we offer some important tips to keep in mind before, during, and after your forays into the registry. Being prepared for what's involved and taking the proper precautions are critical to making this a successful undertaking. If you want to skip ahead to the results, you can click the entry for each program in the table of contents on the left. *All programs were re-tested on a modern, Windows 10 PC to verify compatibility.